I haven't been around in awhile and hope everyone is doing well. 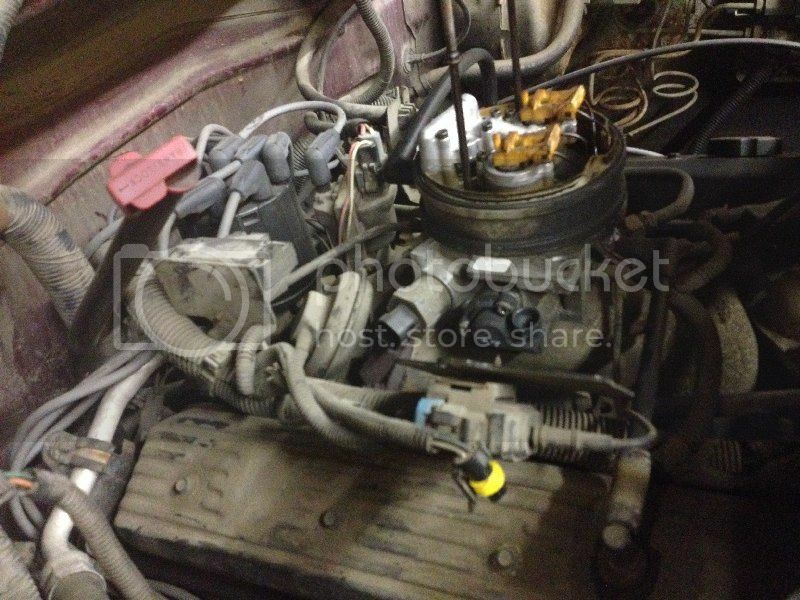 "It is a 95 GMC K1500 with the 5.7 (pre-Vortec) and almost 200,000 miles. The problem is with it running rough at part throttle, around 1200 rpm. Once you get through that at half throttle or more, it seems to be fine. I have given it a complete tune up, new fuel filter and new throttle body injectors with little to no change. I wonder about the catalytic converter because it is original. I would remove or replace it but is a single piece unit with the y pipe and y pipe bolts are completely rusted out. I would consider cutting off the converter and welding a different one on or just straight pipe but I don't have a welder capable of doing so." I don't have the truck yet but will be getting it soon so didn't know if someone would have any ideas off of the top of their head or could point me in the right direction for troubleshooting so I can get started on it right away. by the way you missed your football picks again. I would take a hard look at the EGR system. Make sure it's not sticking open or leaking into the intake somewhere. Have the codes read and see if there are any clues there. Thanks for the starting point HT. I appreciate it. I'm sure I'll have plenty more questions once he brings the truck over. Yeah, not sure if you remember but we moved back in April. I was busy with work and busy getting settled in. Now it's time to get back to doing some work on vehicles. I really enjoy it and have missed it. The attached two stall garage is 24X30 and has a 12' ceiling so I finally have some decent space. I'd still like to build an building out back in the future. I'd love to have a lift. I got on last night right before the game and did my picks. I remembered at like 6:47 central time. I had better check though. Maybe I didn't save them. Yep, you did save them. I hadn't been back since just before the game. this is a 1995 and you mention TBI - just the 2 injectors? this is a easy to work system- BASICS. fuel pressure - easier said than done BUT critical. CODES - easy and quick- even if CEL is off. For the cat concern- do you have a simple VACUUM gauge? Hi MG! My 2 cents - Not converter yet if only part throttle issues but that's when EGR does it's work so suspect that or isn't getting properly controlled. Vacuum gauge: If you don't have one get a pistol type with hose, gauge and assorted taps to monitor vacuum and it is also a vacuum pump for checking integrity of vacuum controlled items and diaphragms too. These symptoms do not indicate plugged exhaust. The guy just dropped off the truck Monday evening so going to start messing with it in the morning. Sounds like the first thing I should do is test the egr valve. I'll let you know what I find. I hooked a vacuum pump up to the egr valve and it doesn't hold any pressure at all. That is the correct way to test it, right? pressure? Should hold vacuum unless it has a torn diaphram, your vacuum pump leaks, or it is one of those positive backpressure EGR valves. Yes, some require exhaust backpressure before they will open. Hey DS...how have things been going? I checked my pump and it's good to go. How do I know if it's a positive backpressure valves? If it a positive back pressure valve, you have to stuff a rag into the tail pipe to create some back pressure while applying vacuum to the valve. With the engine running of course...LOL. Hanging in there buddy. Good to see your back around this joint. I'd have to replace every exhaust pipe in order to create back pressure. Any other ideas or a way to tell if it's a positive backpressure valve or not? I guess I could pull it off and test it by rigging a way to plug it. You can see how I plugged it off in the picture below. I used a rubber cork in the opening with the plunger. My question here is, will that rubber cork prevent the plunger from moving thus not allowing the valve to close? If so, I figure I'll get a bigger rubber cork, hollow out the center, and put it on the outside. The gauge instantly starts dropping, stops at 2 for about 3 seconds, and then drops to 0. It's doing the same thing when the egr valve is on the truck. I tested my vacuum pump and it seems to be working fine. By the way, no codes were present or in the history. The battery looks brand new though so the history was probably wiped out when replaced. No, you can't test a feedback EGR that way. It has to be done with the engine running. The exhaust pressure triggers a valve inside the EGR that seals up the vacuum and allows it to be pulled open. What we are looking for in your case is a valve that either isn't closing all the way or is opening too early when you're driving. If the pintle looks fully seated, put it back on the truck and try running the truck with the vacuum hose removed and plugged and see if the symptoms go away. Hmmm? Some funky. One vacuum hose goes to this EGR? With it off now you might be able to just pull on diaphragm while off and cool with vacuum line plugged while retracted or with vac pump and it should stay close to where it is not move the pintle any more with your rig (you are a hoot) off of it. Okay....I just assumed there was a flapper inside that closed once I put vacuum to it. So you're saying if I leave the vacuum hose unplugged, and symptoms go away, I know it's the culprit? One other thing that might be worth mentioning is when you start the truck it cranks 5 or so times before it turns over. I had a few vehicles in the past where the fuel pressure regulator fixed an issue like that. I didn't know if maybe that would be worth looking it into after I'm done messing with the egr? 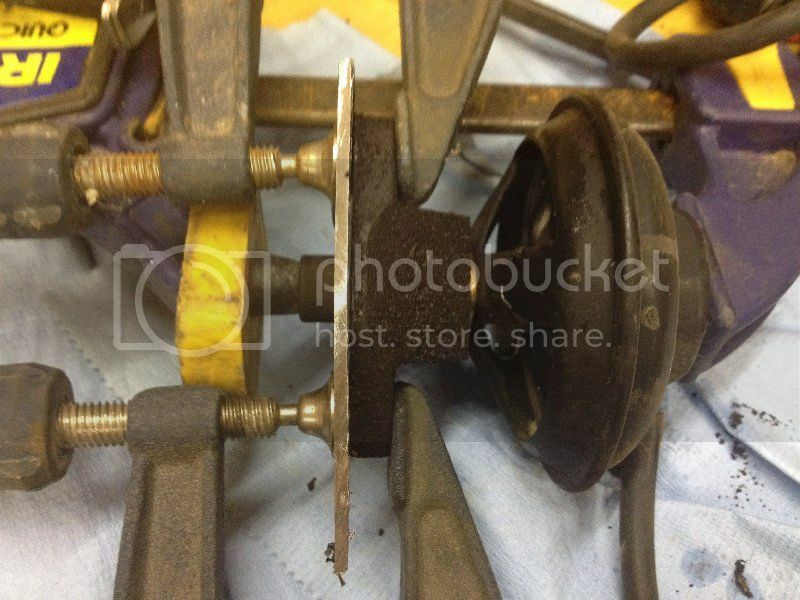 That would prove the problem is in the EGR system, not necessarily the valve itself. be sure the pintel is seated. is there VACUUM ? yes before solenoid (Sol to eng) no after solenoid. (sol to VAlve). plug the vacuum line - drive vehicle - is it still having an isue? There is vacuum before the solenoid and no vacuum after. Going to plug the line and take it for a drive. It runs fine with the egr unhooked. I'm thinking it's the egr and not the solenoid just because it does hold a vacuum, although barely at about 2 inches, for about 4 seconds. If it was a positive back pressure valve it wouldn't have a vacuum at all, correct? The line is getting vacuum on the engine side of the solenoid so I believe the lines are okay. Is there anything else besides the solenoid in the egr system? If the solenoid checks out, and the lines are okay, could it be anything else besides the valve? The solenoid is a possibility too. It isn't just on and off. It gets a series of pulses. The bottom line is the valve is opening too soon and likely too much. Could be either one or even the ECM programming. That car is probably using a PROM. EGR seating is sometimes held OPEN by a piece of carbon.. ask a REAL parts store if there is a screened gasket for the EGR on this engine 5.7? If you replace the EGR do NOT get cheap avoid anything that comes with shims bushings...chevy wants the serial number to get correct one - yet advance has one that fits many engines wonder why?